A recent study conducted last year by the security firm Trustwave, found that hacks at point of sale locations comprised the majority of data breaches in North America. Hacked POS terminals were the most common of data compromise issues, with a total of 65 percent, as compared to only 10 percent in Europe, The Middle East and Africa and 11 percent in the Asia Pacific region. The company investigated 574 breaches worldwide, half of them occurring in the U.S. alone. Many experts attribute this gap to Europe’s use of EMV chip cards, which are known to have better anti fraud controls than other means of sale. Others believe the surge in the U.S. is due to online shopping, where a physical presentation of the card isn’t necessary to make a purchase. On a global scale, POS systems made up 40 percent of breaches, as compared to 33 percent in 2013. ECommerce sites accounted for 42 percent of breaches. Food and beverage industries averaged 68 percent and retail was about 43 percent. Cyber criminals seem to prefer certain types of data, specifically those that gave personal information on customers such as POS transaction data. This information made up one third of all the information taken by these criminals. Another common theme included financial credentials, making up 12 percent of incidents. The most alarming number entails the amount of companies that knew of such a breach happening to them. Only 19 percent realized it, down from 29 percent the previous year. Entrust your personal information and secure data collection to Visual Retail Plus’s suite of security protection. 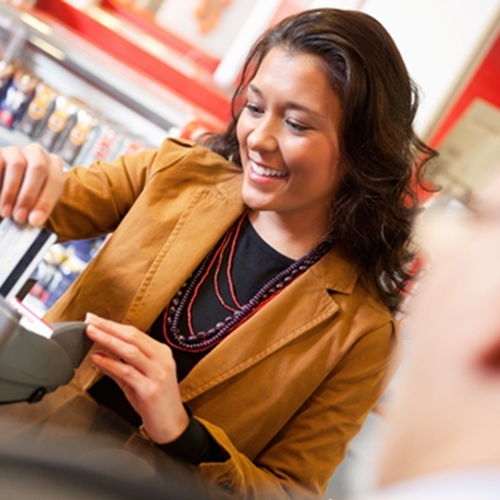 Learn more about our point of sale retail software on our website.